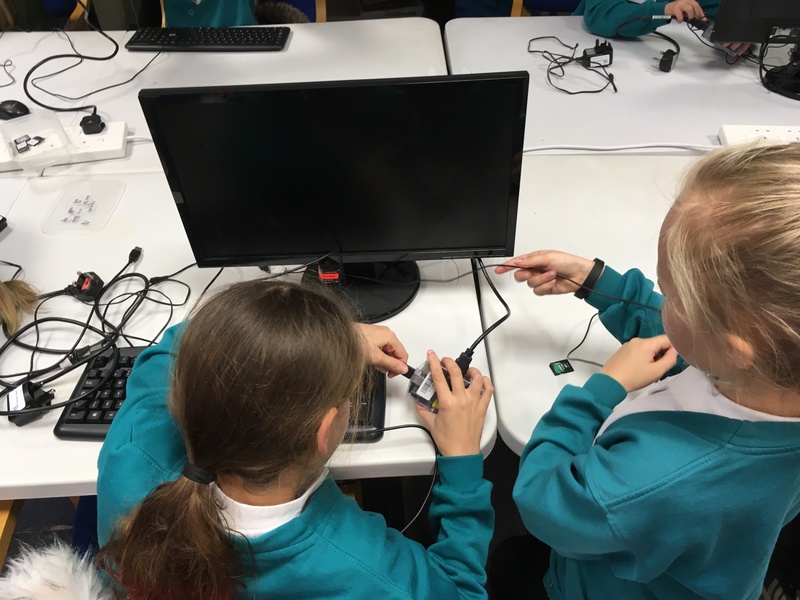 Today we welcomed a new group of West Rise Junior pupils for the first of a few terms’ worth of after school coding/engineering club (actually, we haven’t given the session an official title). Two teachers volunteer to bring them over and take them back to school after the club and enthusiastically join in with the group. Last year’s group helped to build a basic RC rover vehicle – it still needs some work to make it reliable but it broadly works. This year we’re looking at equipping the rover with a Raspberry Pi and Pi Camera to take pictures when it’s out and about doing its stuff. The club doesn’t last very long so we have to break things down into very small chunks and try and take things from bits and pieces they already know and out into new skills and knowledge. So today, after taking a look at the Rover, our young attendees met their first Raspberry Pis. We gave them a monitor, keyboard, mouse, SD card and various cables and told them to put it all together without any instructions (possibly the odd hint, here and there). They aced it! We know from experience that most kids love the act of assembling the Pi and peripherals and although it takes a fair while, it’s an activity well worth doing at least once. Once assembled, there was just enough time to code the Scratch cat to parade across the stage (or, in one case, psychadelic cat) and then it was time to go. We’re already looking forward to next week when we’re going to try a little bit of Python.